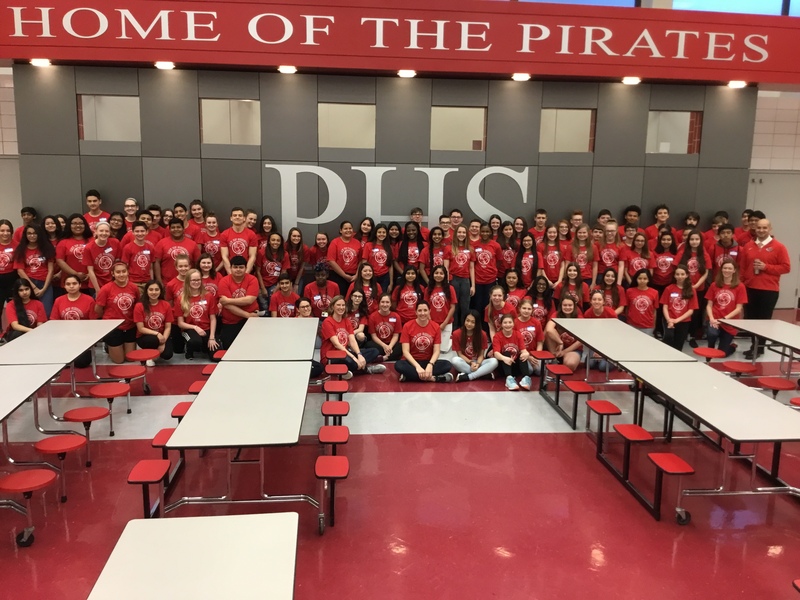 While Sophomores and Juniors at Palatine High School were taking state tests last week, Freshmen and Seniors had the opportunity to participate in Palatine High School’s second annual Day of Service. 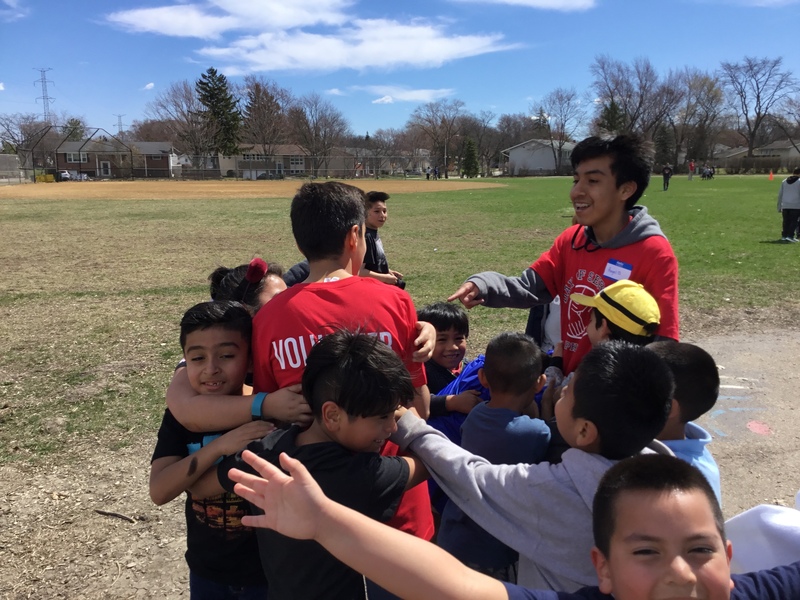 The event gave nearly 100 students the opportunity to volunteer at four elementary students. 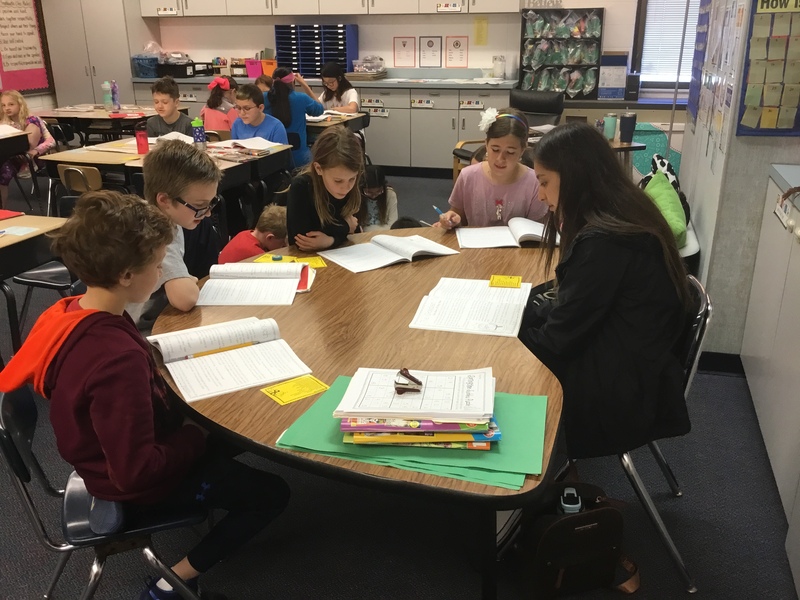 PHS Social Studies Teacher Andrea Guthrie said the day was arranged on this day to allow students who had out of school conflicts the opportunity to volunteer. She added that the chosen day was based on the state test, which freshmen and seniors would have open time due to not taking state tests. Senior Jazmin Galvan went to Lincoln Elementary School where she read with the young students before playing at recess with them. Galvan had attended Lincoln as a younger student. Guthrie said she had to limit the number of students participating this year due to the need to balance staff chaperones with test proctors at the school and number of volunteer sites. She said the Palatine Boosters provided funds to aid in purchase of shirts for the students. For Galvan, the highlight was the response from the students.